“Find out who you are and do it on purpose,” ~ Dolly Parton. Imagine a place where your most inner self can feel at peace. For some it’s in their garage restoring an automobile. Others it’s behind a pulpit, sitting in front of a MAC or Pfaff sewing machine. Possibly, if you are reading this you may be “one of us.” THOSE people that are happiest with a can of spray paint in their hand leaning over an old beat up piece of furniture…or shutter…or door/window/pallet? You name it. That’s me, btw. That’s me with the can of spray paint in an old pair of sweats out in 44 degree weather (that’s supposed to be 50 or more according to the can’s instructions) painting the next project quickly while hoping I can get it inside to my kitchen island where it’s warm before the cold renders the paint undryable. Well, relatively warm, since we keep our house at about 62 degrees during the winter and early spring. You know, so I can afford to buy that old beat up piece of furniture, frame or door that I must salvage, to make it into a one of a kind family heirloom. My place of refuge is my new craft room. Sometimes I just go down and stand in the middle of the room. Happy. Dreaming. Envisioning. Did I mention that this is the beginning of a series? 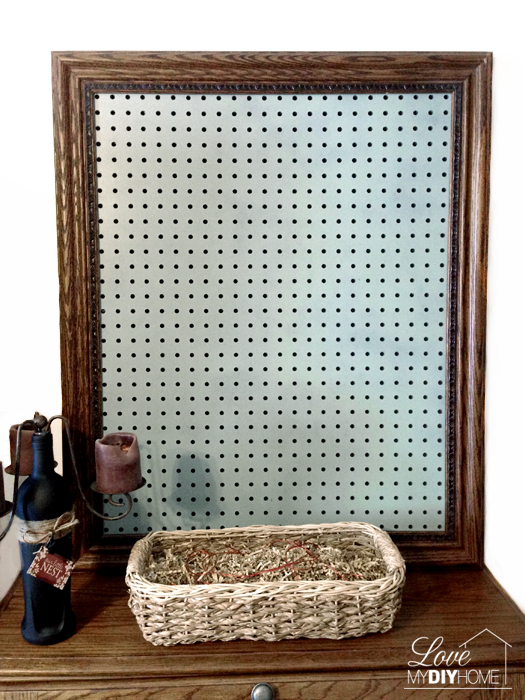 Today’s project is a beautifully detailed oak frame clearanced at Hobby Lobby and plain old peg board from ACE Hardware. The oak frame was a steal – clearanced at $22.00. Normally you would never catch me spending that much for a frame, but this one was oak, huge, and has gorgeous detailing. Of course it didn’t hurt that I had a gift card. L.O.V.E gift cards to HL. The two opposites attracted because of a can of green spray paint from Walmart- a $3.57 game changer. 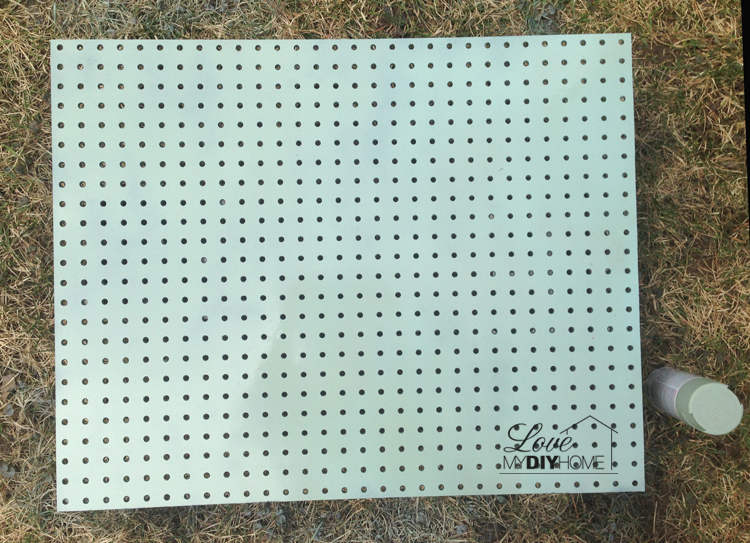 This isn’t your ordinary peg board you would see in your DH’s garage. No sir. This will become a beautiful display piece adding a modern traditional shabby chic (how’s that for a mouthful) charm to the room that inspires creativity and self expression…the place that empties you of the day’s stress just by being. 2. 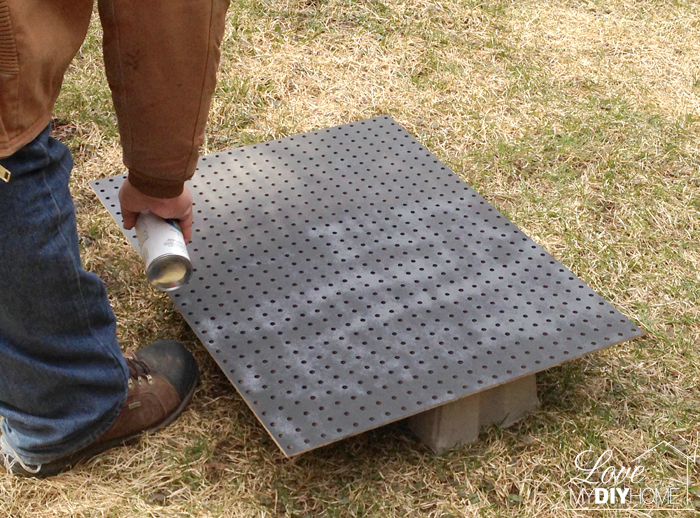 Grab some cheap spray paint to primer it – peg board SOAKS up the paint. 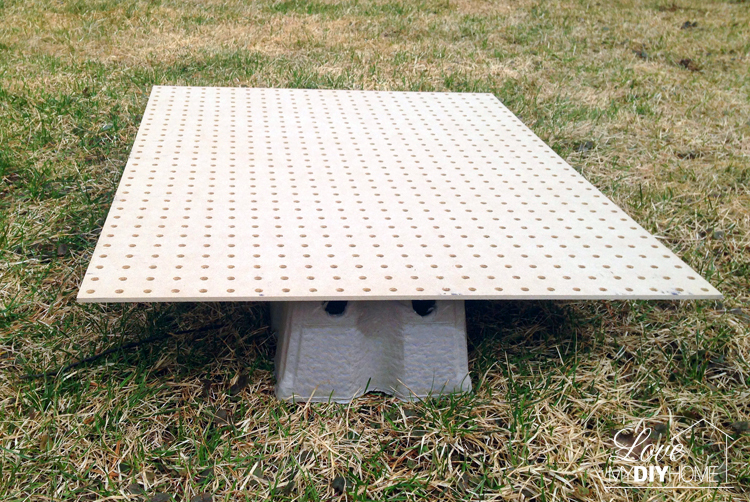 NOTE: I used the inserts from my Ningxia Red bottle box as paint stilts (to raise the pegboard up out of the grass). They are also just the right size to use as a paint caddy. Recycle. Recycle. Recycle! 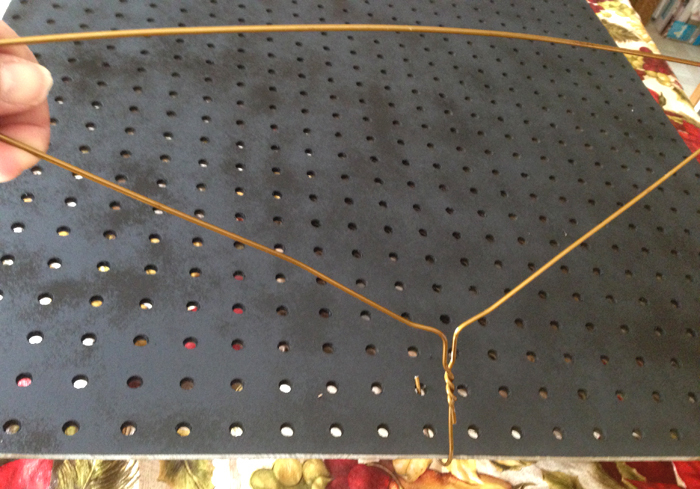 To bring in the pegboard so it can dry in the kitchen, use coat hangers for a portable handle. 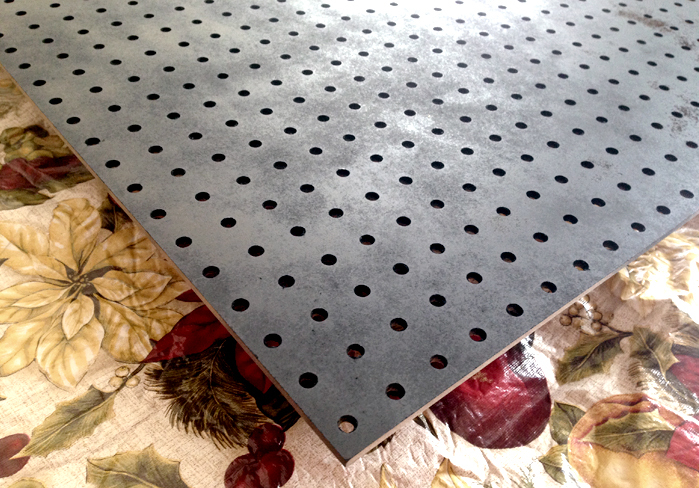 Use a contrasting color for your base coat to give it interest (the holes stayed black!). This is where I get my moniker, “The Accidental Artist.” A lot of my cool creative works of “art” are by accident. Shhh. Don’t tell anyone. I have a reputation to uphold. 3. 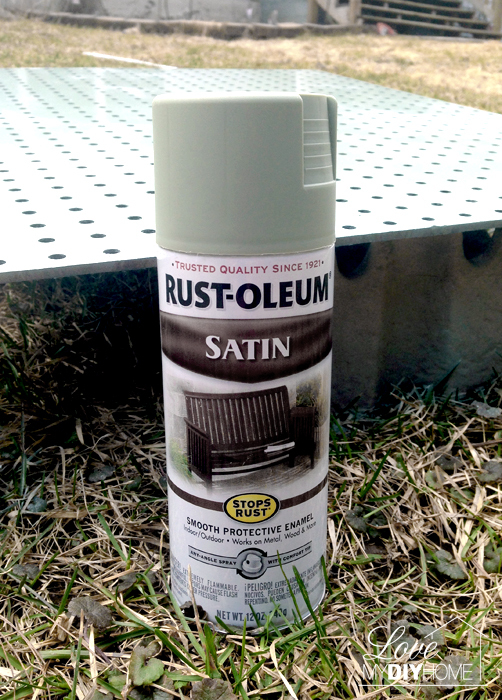 Spray paint the final color after your base coat dries for a bit. 4. 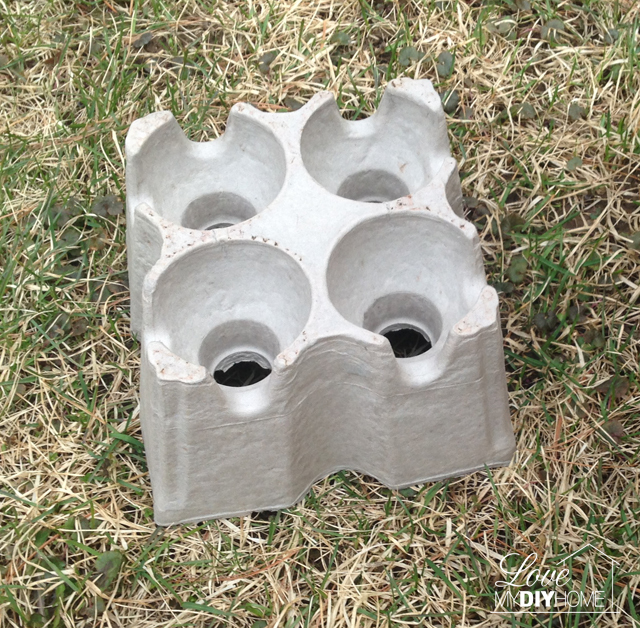 Use a sanding sponge and sand it just a bit to give it a shabby, yet smooth look. 5. Secure the peg board with tacks or a nail gun and you’re done – in this case the oak was very hard so DH did some pre-drilling. 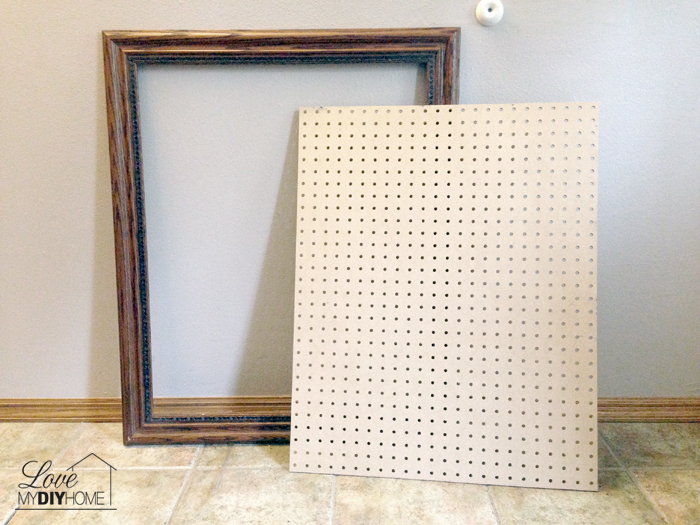 When I have my craft room reveal, I’ll show you the peg board all dressed out. I’m working on my night stand that you all gave color suggestions for – black, orange, peach, white and taupe were all the colors of choice. Just wait till you see it! 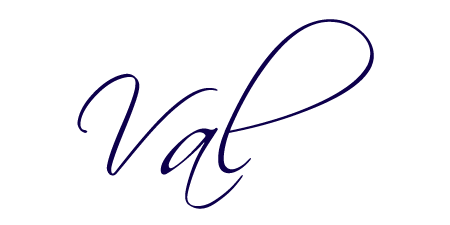 BTW, sign up for my newsletter and let’s stay connected. Oh, I can hardly wait to see your craft room! Thanks, Karen. The craft room is almost done, so I’ll post it soon.